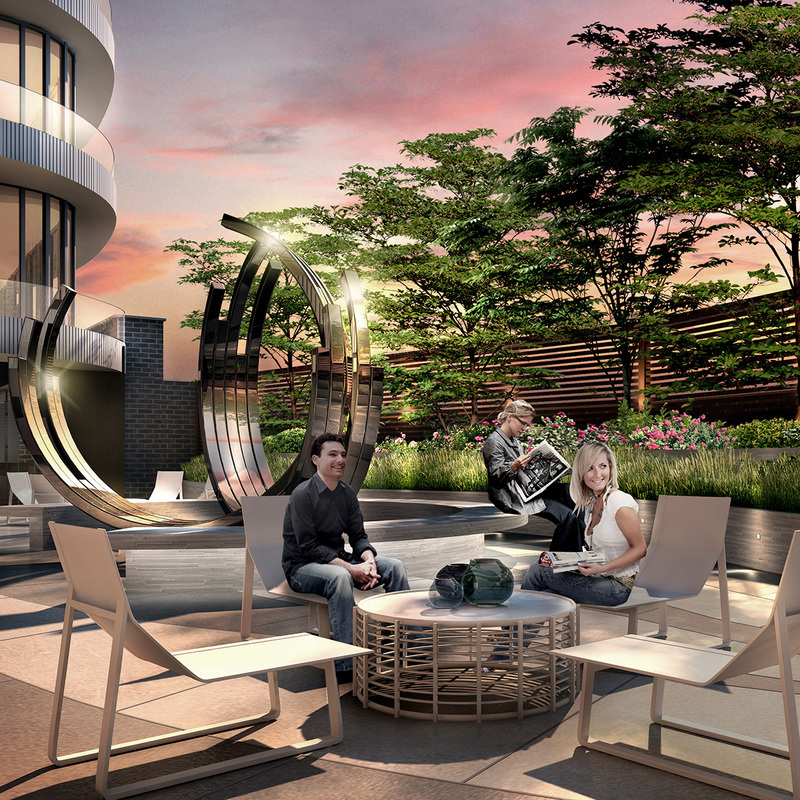 Developed by Cadillac Fairview in partnership with FRAM Building Group, Flaire introduces sophisticated, modern day living to the Shops at Don Mills’ new urban community North of Toronto. 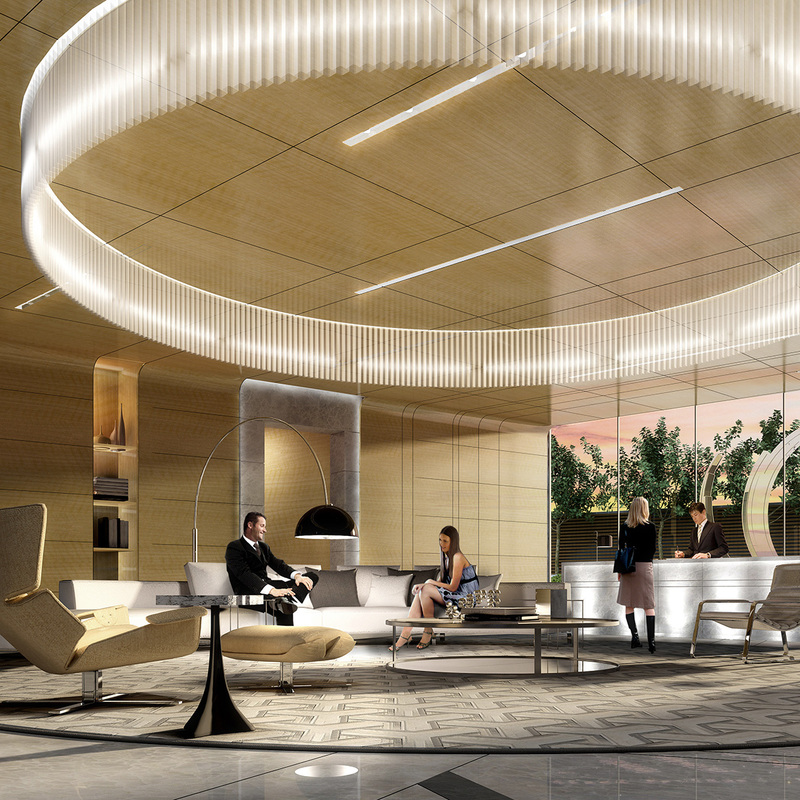 Comprised of two 11-storey residential towers anchored by a 4-storey podium, Studio Munge’s design intent connects the residential sensibilities with the social recreational spaces. 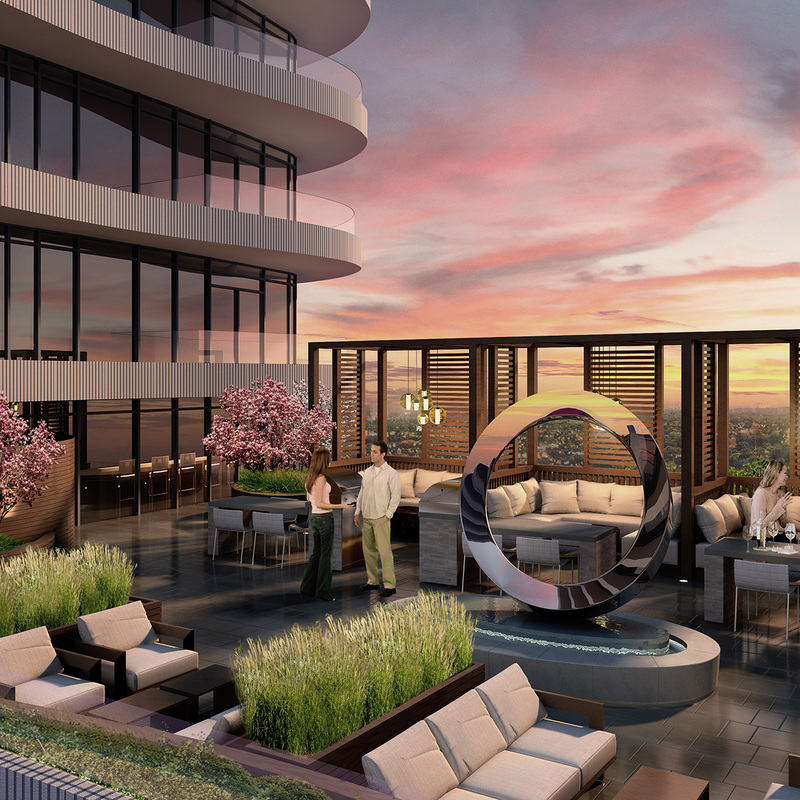 Flair features unique undulating terraces, 24-hour concierge and communal amenities including a landscaped rooftop terrace, party room and state-of-the-art fitness center. The open-concept residential suites embody a chic ambiance elevated by spacious bedrooms and outdoor terraces that extend the indoor living space. Impressive custom finishes convey Flaire’s modern, sophisticated style and include custom-designed kitchen cabinetry, granite countertops, an integrated appliance package and spa-inspired bathrooms featuring natural stone.